Good news! It's a happy day at my house. 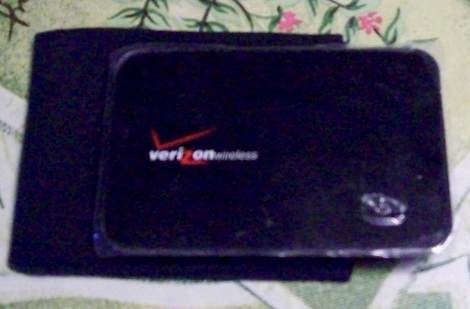 The Verizon wireless mifi problem that has plagued us for the past few days seems to be fixed. It took a few calls to tech support to get everything worked out. So far, being online has gone pretty smoothly. There was one point this afternoon when I got bumped offline for awhile. That was a dark cloud on an otherwise sunny day but since then the mifi has held the signal. The only other service that is available in my rural area is satellite. Cable doesn't run out here and neither does DSL. The main problem with the satellite service is the contract. We move frequently because of my husband's job. Portability puts the Verizon mifi at the top of the list. The contract is still there but taking it with us is not a problem. Service on my mifi from Virgin Mobile is top notch in areas where a signal is available. I still have it for times when I'm in town without Hubby. In the city it seems to work as well as Verizon without the pesky detail of a contract. Unfortuantely, their towers have found our little rural area yet. Until then, it's the Verizon mifi that lets me get online. We tried it once before and decided against it because of cost. Since it is the only thing going out here, I am glad that we have it now.